Amazing, fruity, and mouthwatering. 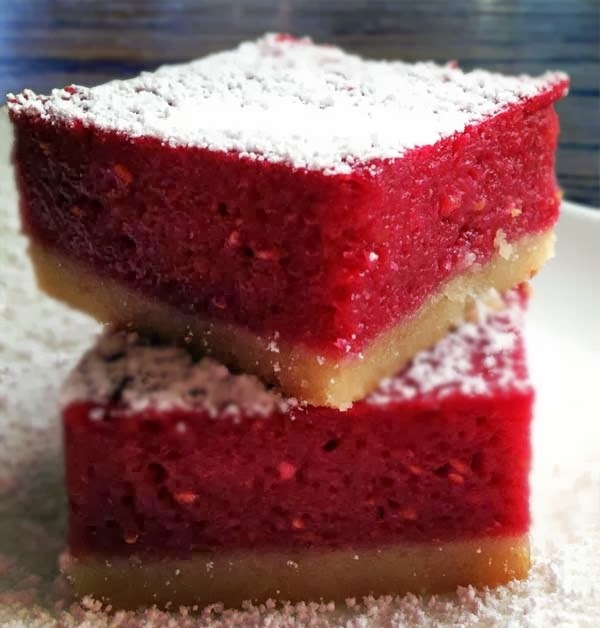 That's all I have to say about this raspberry lemon bar. 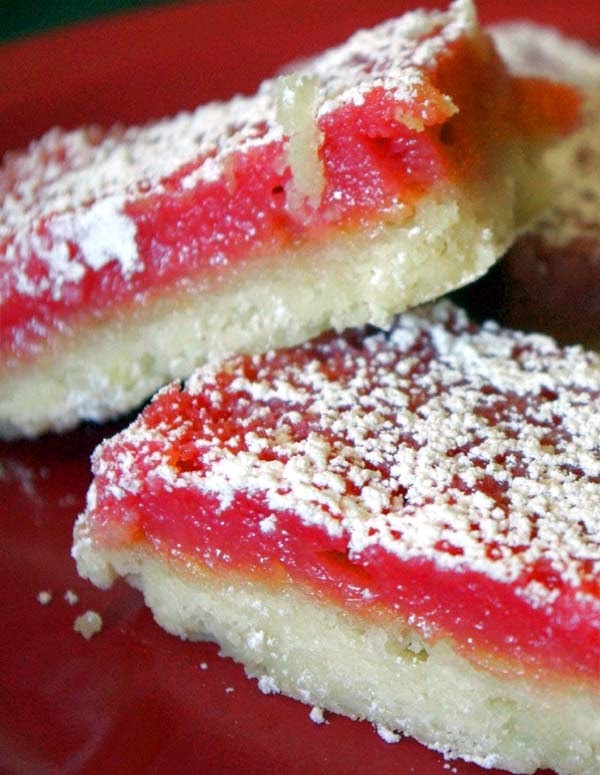 Very grateful to http://www.annies-eats.com/2011/09/02/raspberry-lemonade-bars/ for giving us this delight. "Preheat the oven to 350° F.
Line a 9 x 13-inch baking pan with parchment paper. In the bowl of an electric mixer, combine the butter and sugar. Beat on medium-high speed until smooth, 1-2 minutes. With the mixer on low speed, mix in the flour and salt just until incorporated. Add the dough to the prepared baking pan. Press into an even layer over the bottom of the pan. Bake for about 25 minutes or until light golden brown. Remove from the oven, maintaining the temperature. While the crust is baking, make the top layer. Combine the sugar, flour, lemon zest and salt in a large bowl and whisk to blend. Add the raspberries to a fine mesh sieve and press through, mashing with a spatula, to extract as much juice and pulp as possible, straining out the seeds. Add the egg whites and eggs to the bowl with the dry ingredients and whisk well to blend. Whisk in the raspberry puree and lemon juice until smooth. Pour the mixture over the crust and bake until the center is just set and not longer jiggles when gently shaken, about 35-40 minutes. Transfer to a wire rack to cool to room temperature. Cover and chill well in the refrigerator, at least 2 hours. When ready to serve, use the parchment paper to lift the bars from the pan. Place on a cutting board and slice into bars. Dust the tops with confectioners’ sugar if desired. For another raspberry treat, see this recipe for crustless cheesecake.